Production companies: Wilkins Peak Studios, Scary Liotta Films. This is available as a trailer below and on the Ubstudios link. 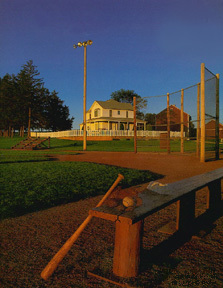 - Filmed in Dyersville, Iowa, on the same exact baseball field that the movie Field of Dreams, was filmed on. -While filming the preview, the temperature was 95 degrees with a high percentage of humidity. -References the movie: Field of Dreams obviously.